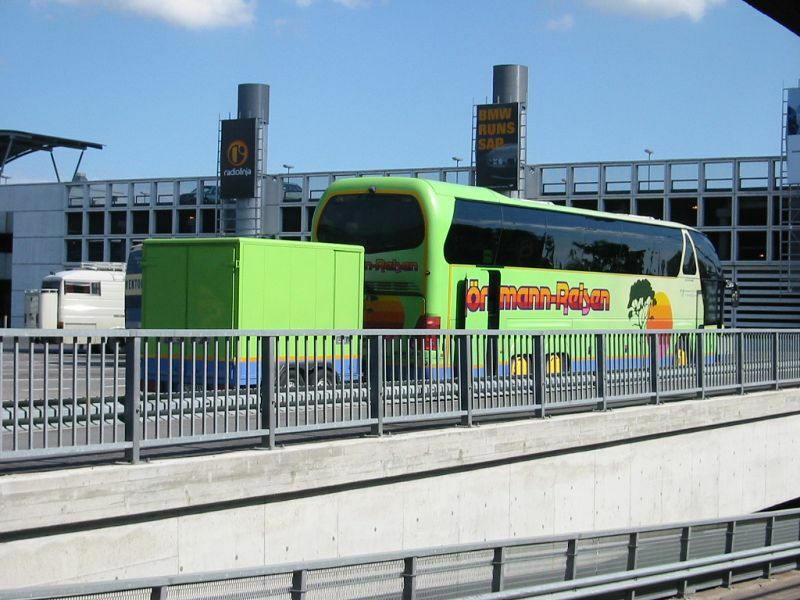 This page contains random shots of buses and other vahicles we have encountered. 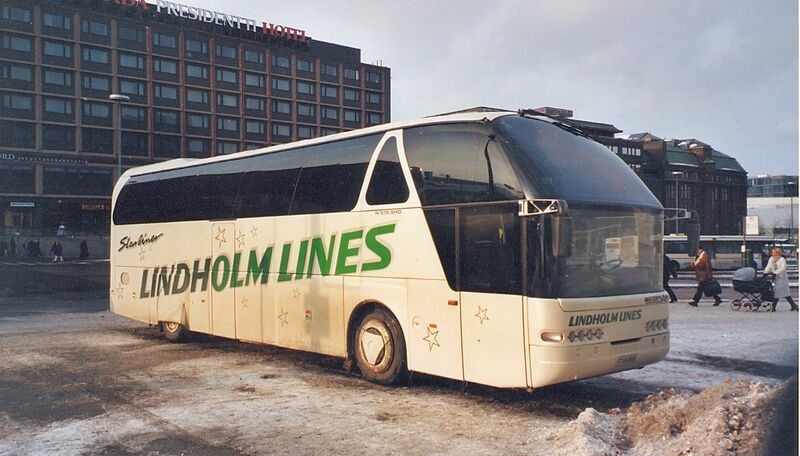 An access bus from Turku on display at a local transport event in Dipoli, Espoo. 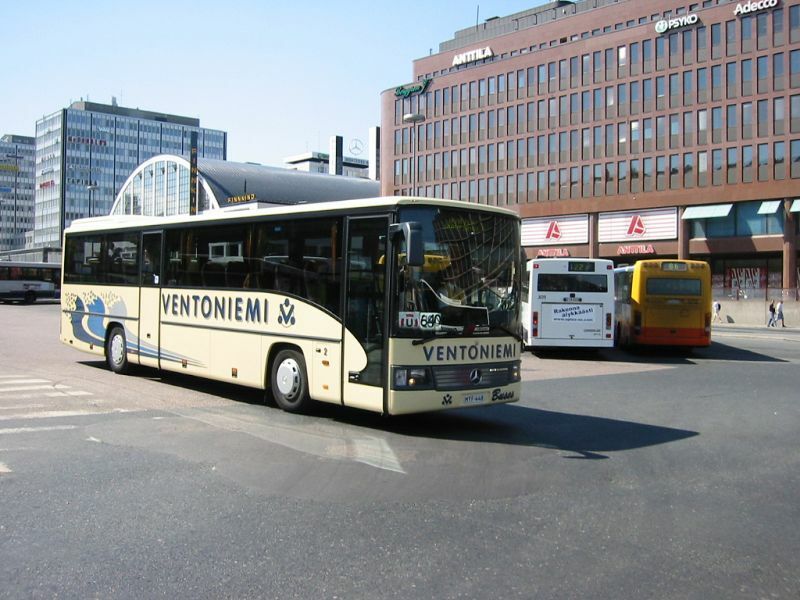 The Mercedes bus flagship at the Bus Station in Helsinki. Another, slightly more futuristic, luxury bus. 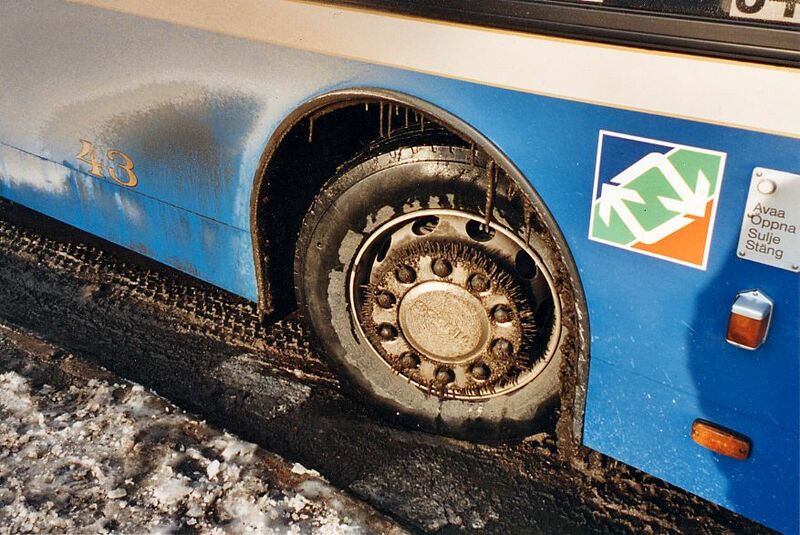 The right front wheel with icicles. 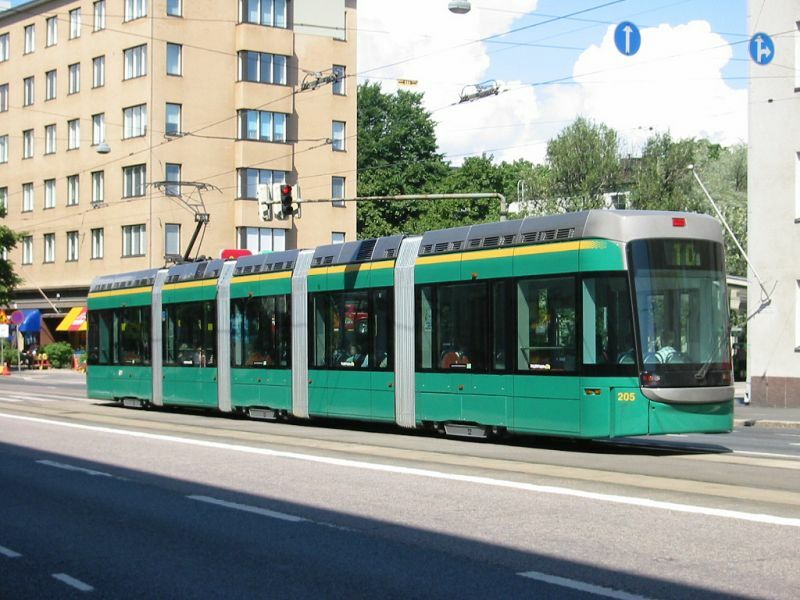 The Germans have added a trailer to a bogie bus. 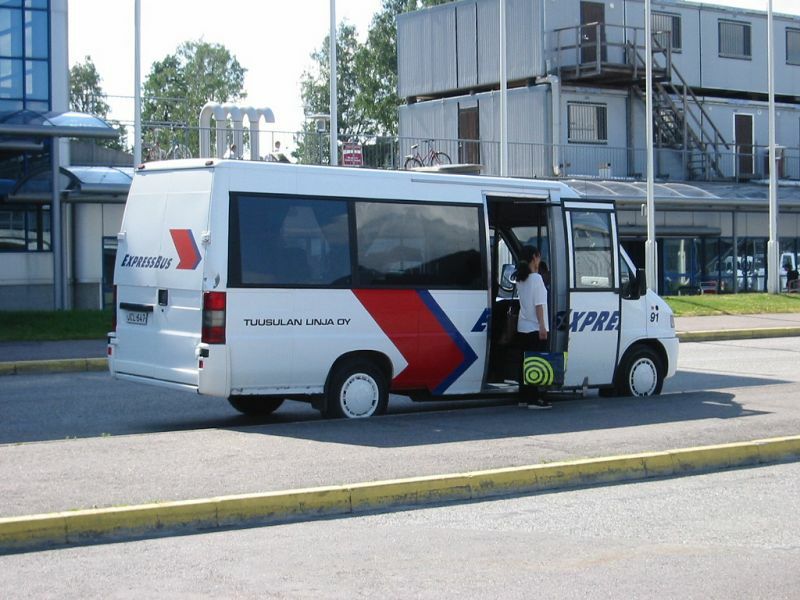 A rarely seen combination in Finland. Northbound along Mannerheimintie on route 10. 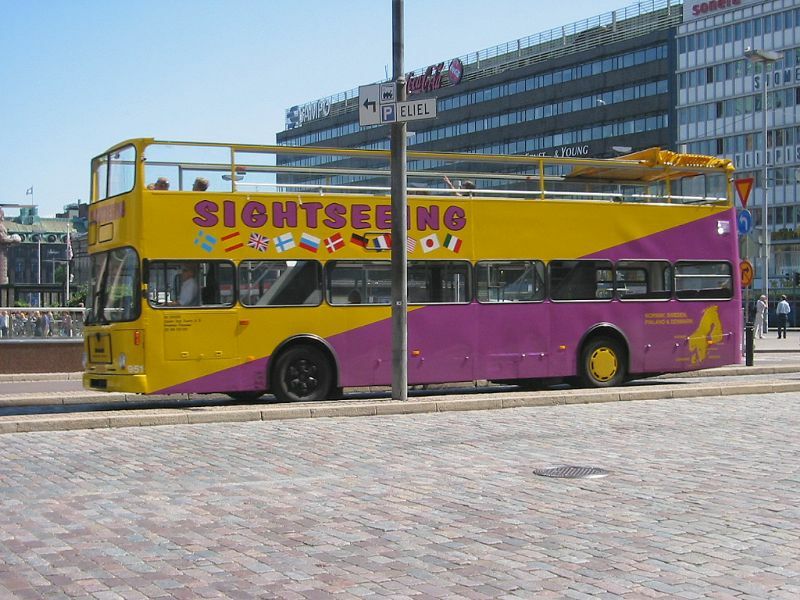 This open-top double decker is used for sightseeing tours in the center of Helsinki. 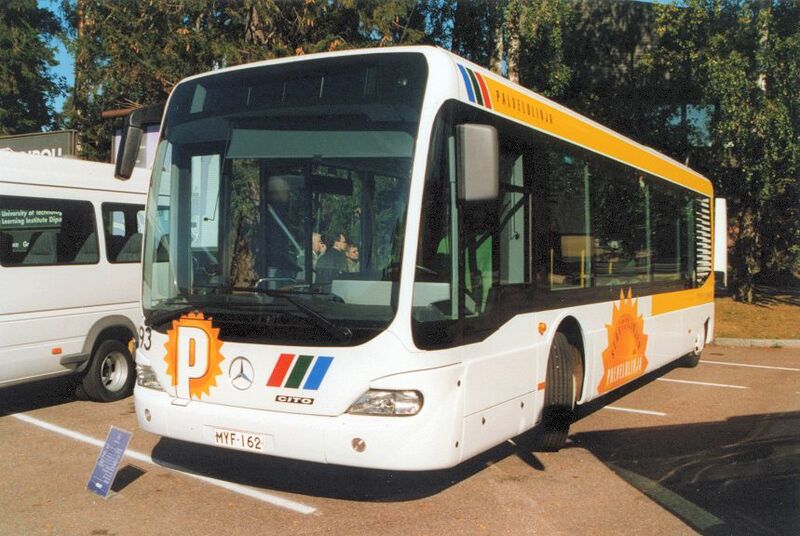 The Mercedes interurban bus on a U-route.